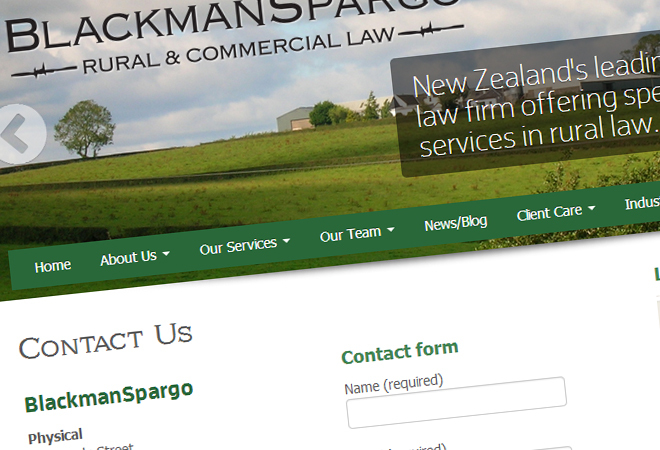 The team at BlackmanSpargo are a leading New Zealand law firm, but they had an outdated website. They contacted us with a simple request, “we want a clean, fresh, modern website to better reflect our business”. 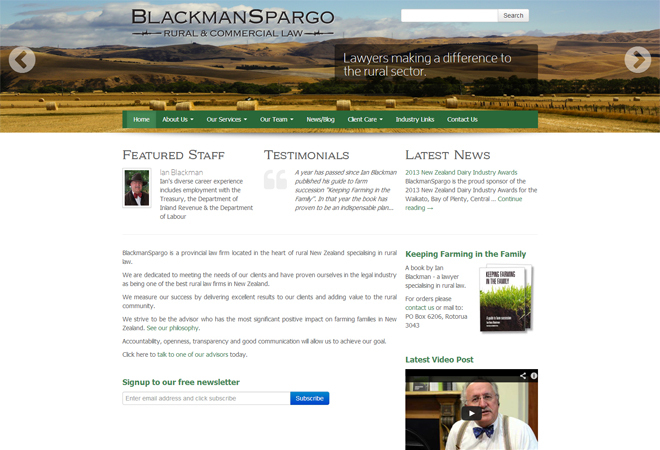 We crafted up this responsive design and built the site on a full content management system (CMS) which puts the business back in control of their website content. 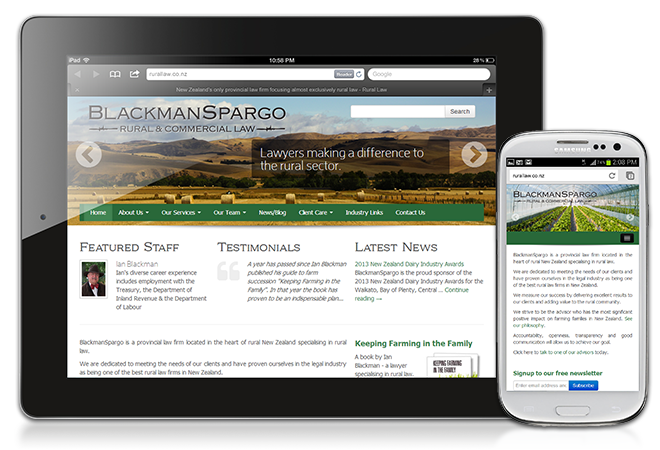 2013 is going to be the year of responsive design, make sure your site is mobile and tablet friendly by contacting us today.